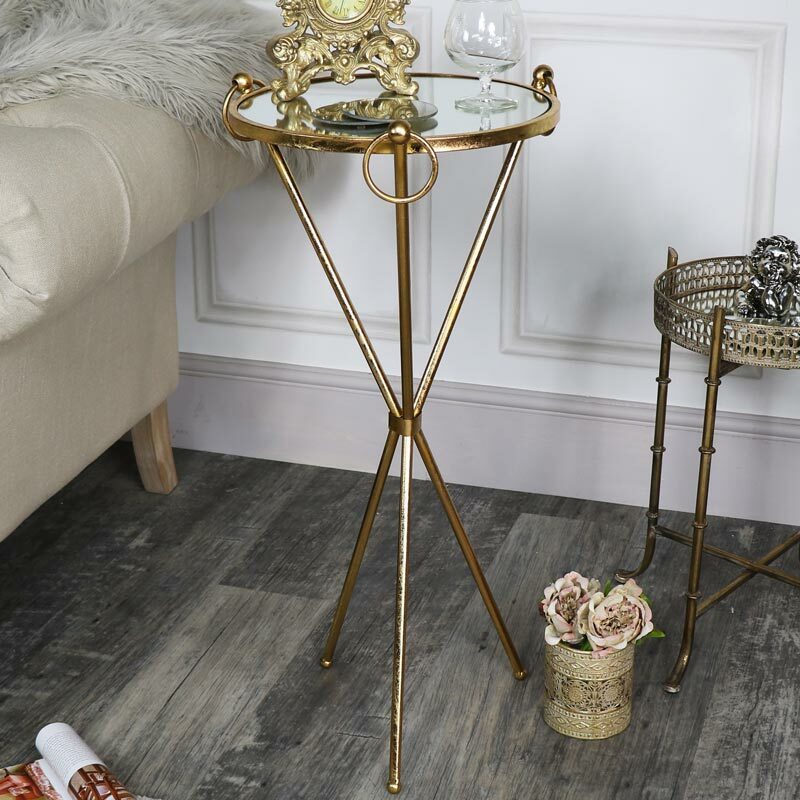 Our range of side tables are simply divine, this antique gold mirrored table is a beautiful addition and would look stunning in a vintage French style living room. A large round gold mirrored top adds an air of elegance and sophistication, ideal for using as a side table or for displaying lamps, candles or ornaments on. A large mirrored top sat on a tripod style base. An unusual piece of furniture that looks simply stunning and elegant with large ring detail on top of each leg. Perfect for the living room, hallway or bedroom. 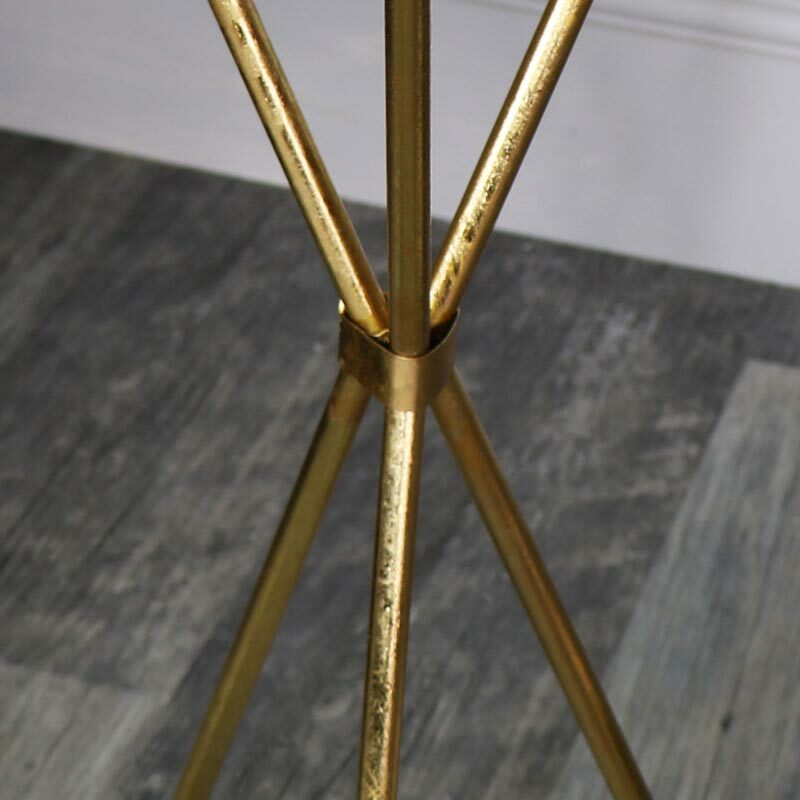 Our range of side tables are simply divine, this antique gold mirrored table is a beautiful addition and would look stunning in a vintage French style living room. A large round gold mirrored top adds an air of elegance and sophistication, ideal for using as a side table or for displaying lamps, candles or ornaments on. A large mirrored top sat on a tripod style base. 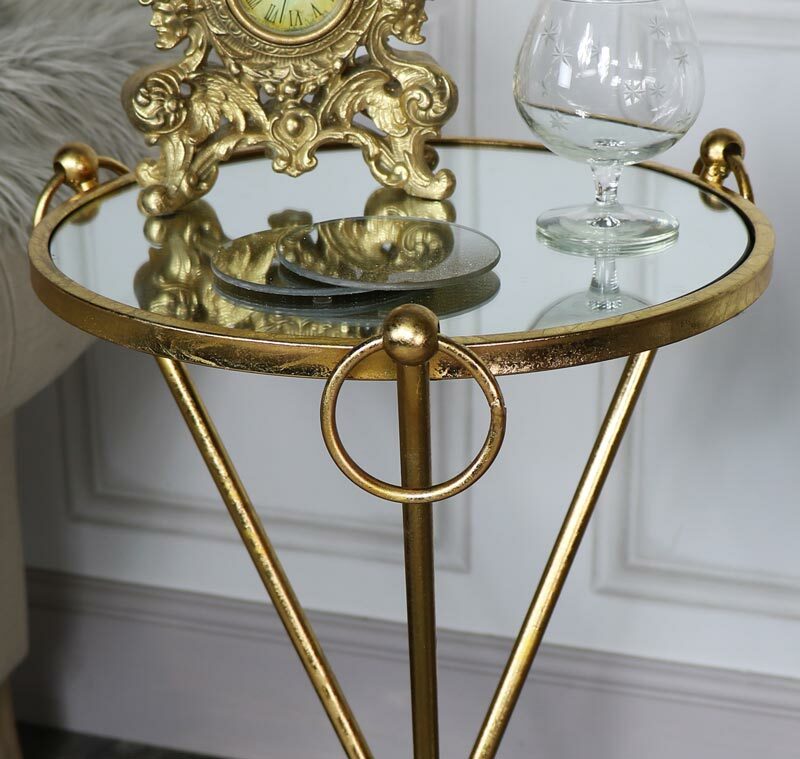 An unusual piece of furniture that looks simply stunning and elegant with large ring detail on top of each leg. Perfect for the living room, hallway or bedroom. 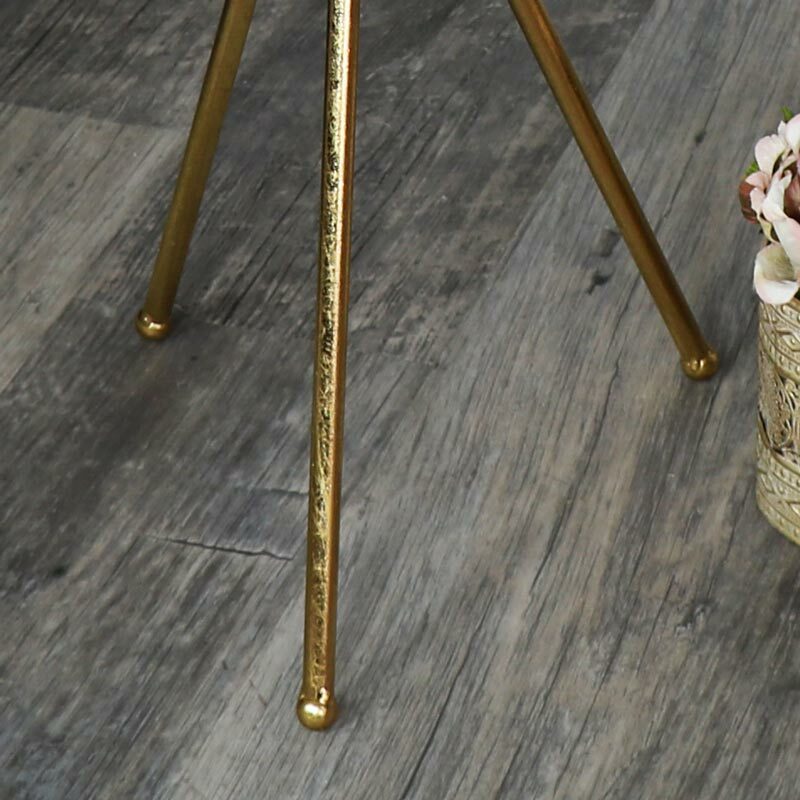 With the frame made from metal and finished in a distressed antique gold colour, the mirrored top adds the finishing touch. The width of this item is 38cm and the height is 76cm.